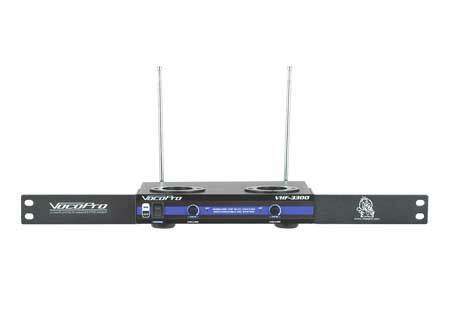 Need the freedom from cables that a wireless system provides but tired of constantly replacing batteries? 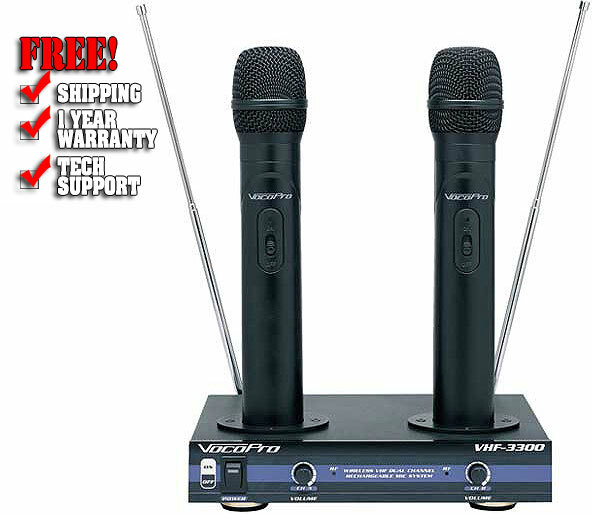 Then the VHF-3300 is your answer, delivering fully rechargeable dual wireless microphones. The best part is how simple it is to recharge the batteries, and the bonus is the money and waste you'll save by going rechargeable. 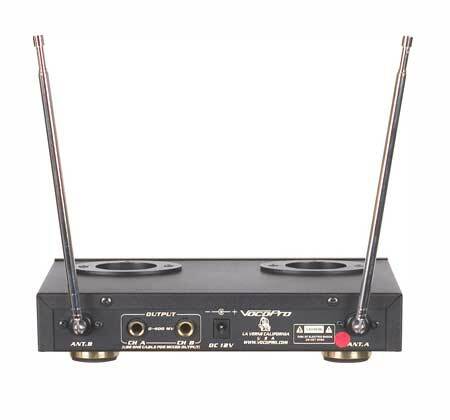 Just setting each mic in the terminal on top of the receiver while not in use is all you'll need to do to prepare the VHF-3300 for your next performance. It's that easy--no additional connections to worry about. 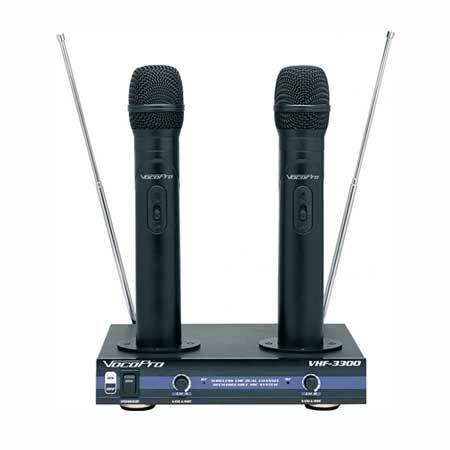 VocoPro was the first to offer a rechargeable system that charges from it's own receiver stand, and we've done it again with the amazingly affordable VHF-3300.